In fact, the Navy has already initiated actions in response to the shootings at the DC Shipyard which houses the Chief of Naval Operations (Navy Recommends Security Changes in Wake of Navy Yard Tragedy). Dealing with how the shooter left the Navy with a security clearance after several criminal incidents and a negative credit report; the background check process and security manager responsibilities just got elevated Navy wide. The Department of Defense will certainly review the new Navy rules to see if they are applicable across all the services. They should also be evaluating contractor performance since most background checks are completed under a lucrative government contract that seems to have missed several screaming for attention details concerning the Shipyard shooter. Some recent experiences with entry to military installations highlight the differences in service procedures. One service required retirees visiting their installation to get a pass for the day, another allowed use of the military ID card as an entry verification and some continue to use car stickers. None of those would have stopped a reservist with weapons in his vehicle or an active duty major at one of the Army's largest installations from entering their respective installations. What can we do to improve our personal security and that of our families? My family still laughs at me when I asked to sit in a public location where I can see the entry door(s) but awareness is often key. Do you know where exits are if you need to escape? Do you watch for trouble? We certainly do not need to be hyper about security but being a careful observer is critical for your safety. I certainly hope the current reviews at the Pentagon provide better safety for our military community without red tape that makes life harder, simply responds to the crisis of the day, meets a political agenda and provides little additional security. Blogger Dale Kissinger, ie. “Col K” is a co-founder of MilitaryAvenue.com and retired Air Force pilot who served with the best of the military community from the Army, Navy, Marines, Coast Guard and Air Force. 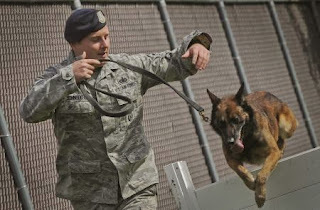 He flew combat rescue and special operations helicopters, fixed wing trainers, special operations airlift and retired while flying the C-17 as the Vice Wing Commander of the 62nd Airlift Wing at McChord AFB. He served his country during conflicts in Bosnia, Iraq, Kosovo and Afghanistan. Photo Credit: Staff Sgt. 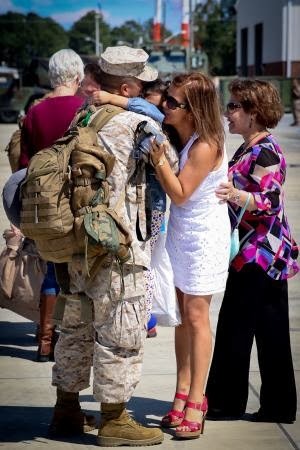 John Forero, a native of Queens, N.Y., and the S-2 chief for 2nd Battalion, 8th Marine Regiment, greets his wife and daughter after returning from a six-month deployment to Afghanistan, Sept. 23, 2013 aboard Marine Corps Base Camp Lejeune. With this being Forero’s fourth deployment, he said deploying gets harder once you have a family. The 75 Marines and sailors who returned home were the advanced party for 2nd Bn., 8th Marines. Situation awareness has been brought home. Doors and exits are check points in my mind.